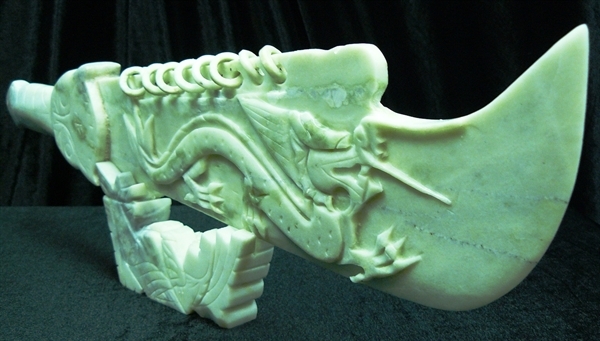 This is a jade sword set, carved from one solid piece of jade, the base is separate. 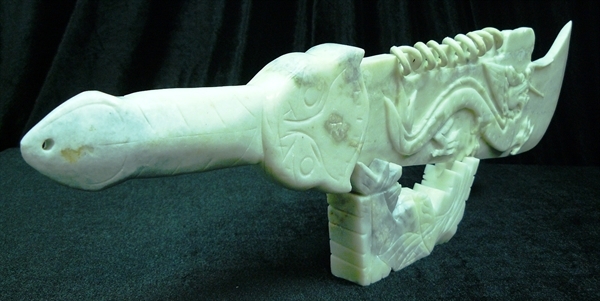 9-ring is the highest ranking in ancient China for Warriors. 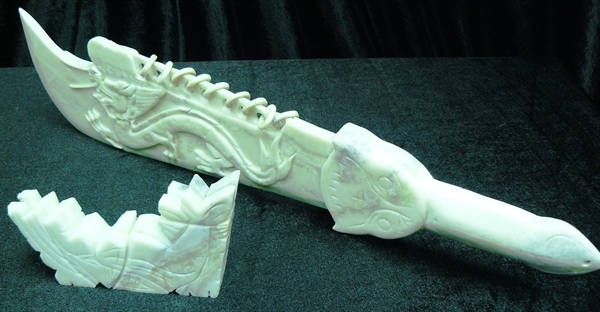 There is a dragon carved on the front.